A blended worship service featuring expository preaching and both contemporary and traditional vocal and instrumental music. Children's Church for children in grades K - 3 is held during the regular morning worship service, beginning at 10:45 a.m., just prior to the Pastor's message. 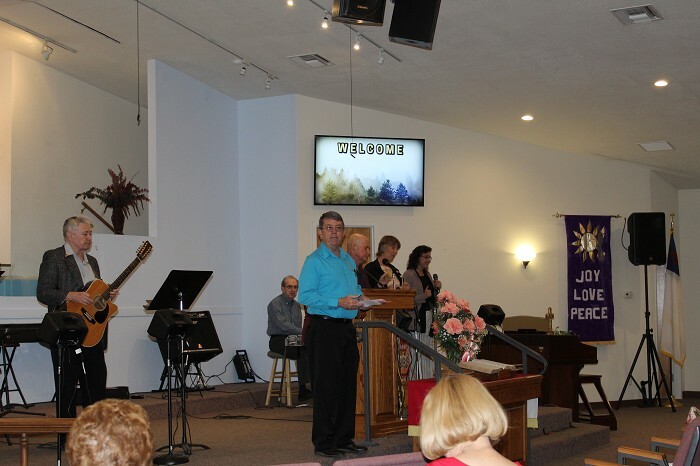 A mainly traditional worship service featuring both expository and topical Bible preaching and music that leans toward congregational singing of well-known hymns of faith. The second Sunday of the month is church business meeting. Our Wednesday Bible Study is at 6:00 p.m. All are welcome. Rob Windsor leads this new ministry that teaches the Word of God in a less traditional, more relaxed atmosphere, for people who would not feel comfortable in "church". Share a meal, music and a look into the Word of God. They meet in the Fellowship Hall, Building C, at 7:00 p.m.